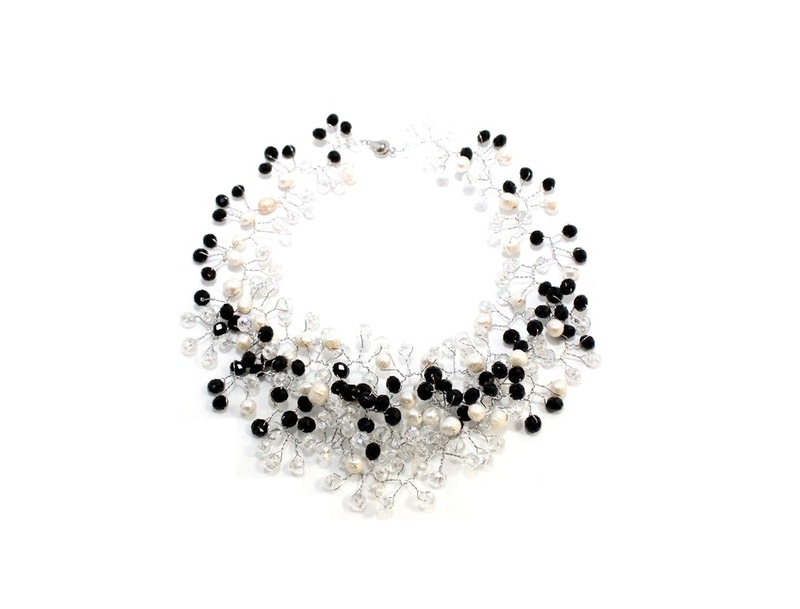 A collar style version of the ever popular Classic style, the Dominga necklace. 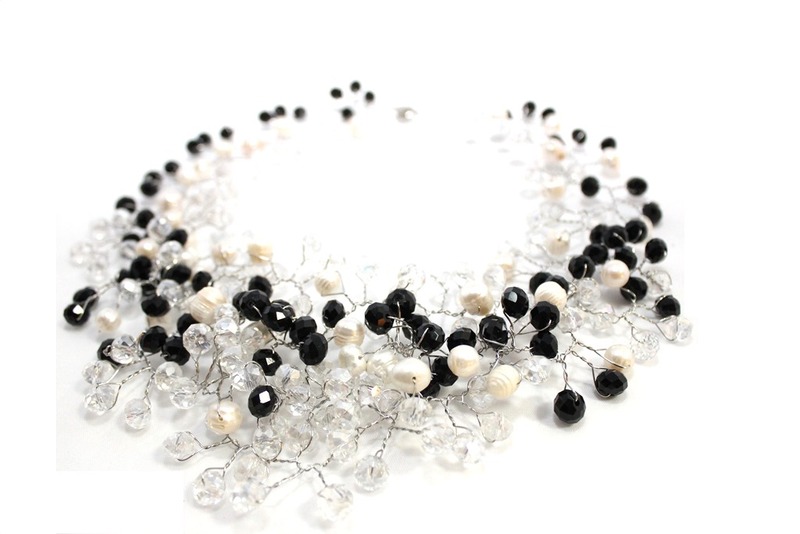 Clusters of Black and clear German crystals and white fresh water pearls delicately wired together to bring class to any look. Round silver toned clasp closure.